The churchyard, which is now closed, can be found at the heart of the town. The church has recently been restored by Historic Scotland. It dates back to the late 14th century, and houses the tomb of Douglas family. The clock is believed to be the oldest town clock in Scotland dating from 1565 and is said to have been gifted by Mary Queen of Scots. There is one identified CWGC grave in the churchyard. Click here to view this location on Google Maps. 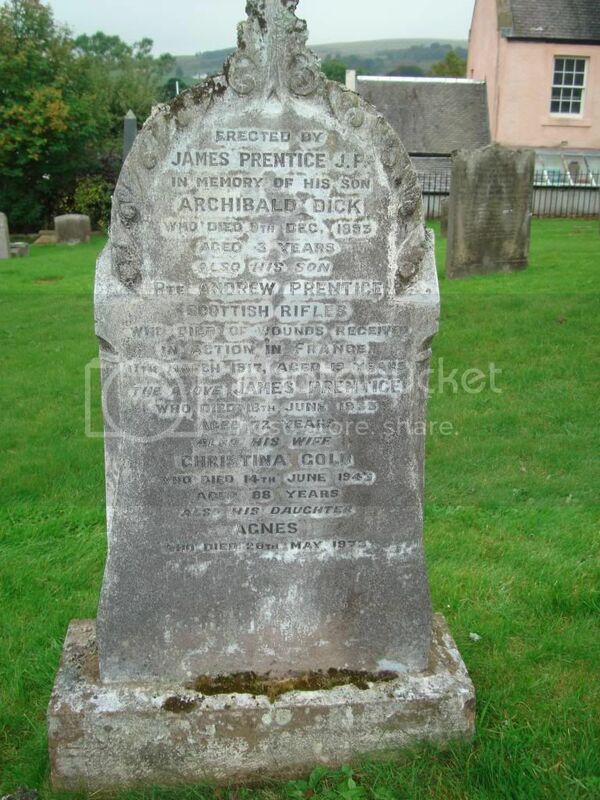 Visited the Cemetery today but did not find this gravestone. Son of Charles and Jane Park, of 5, Glebeview Terrace, Douglas, Lanarkshire. Grave Reference: I. H. 2. 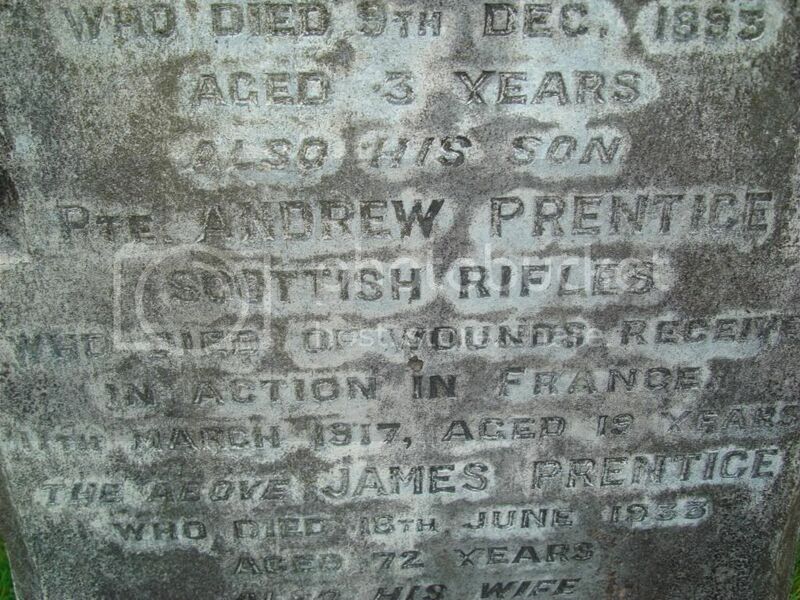 Son of James and Christina Gold Prentice, of Braehead House, Douglas, Lanarkshire.